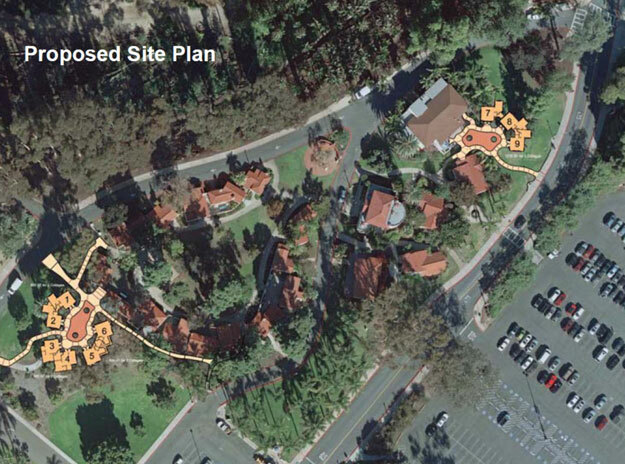 The San Diego Planning Commission unanimously approved on Jan. 22 the House of Pacific Relations' request to begin amending the Balboa Park Master and Central Mesa Precise Plan to construct nine international cottages. The House of Pacific Relations has 33 member countries, but only 19 have their own cottages. Those that do not, share space with others at the Hall of Nations on a 12-week rotation. Turkey, the Philippines, Peru, Panama, Palestine, Mexico, Lebanon, India and Columbia are the nine nations looking to construct their own cottages. The expansion calls for nine cottages, approximately 500 square feet each, in two areas. Each cottage would have its own kitchen, shared bathroom and outdoor common areas. Three duplexes would be built on the north end of where the current cottages are housed, in an area southwest of the Spreckels Organ Pavilion. The other six would be added in a grassy area on the south side of the current collection of House of Pacific Relations cottages. The nine nations formed a nonprofit, the New International Cottages Committee, and hired Estrada Land Planning as a consultant. No architects or contractors have been hired yet, Novinger said. “The design ideas for the new buildings is to be consistent with the original cottages with Spanish colonial architecture, but each with their own characteristics, like different chimney designs, different window finishes, and interiors that match each nation's culture and history,” Novinger said. During the next several weeks, Estrada Land Planning and the New International Cottages Committee will work together to form a strategic plan for the entire expansion project. Plan amendments would be reviewed by the Balboa Park Committee, the Park and Recreation board and its Design Review Committee, the Historical Resources Board and the Planning Commission. The San Diego City Council will have the final say on whether this expansion project breaks ground. Each cottage is estimated to cost about $200,000 to build and each nation is responsible for raising its share. No public funds are being used for this project. Novinger said fundraising efforts are underway and events such as the Taste of Latin America on Feb. 1 are another way to support nations including Colombia, Mexico, Panama and Peru. Amedee said the House of Panama has approximately $45,000, and an anonymous San Diego-based international company with several locations in Panama would match funds 2-to-1 once they reached $80,000. Heikki Gronlund, vice president of the House of Pacific Relations, said this expansion is being done now to culminate with the centennial of the Panama-California Exposition, and that if everything goes according to plan, the project can break ground in December. “We are pleasantly surprised at the support we have received throughout this whole process so far,” Gronlund said. “It’s great to see the nine houses coming together and getting this done now during the centennial." The House of Pacific Relations oversees the 33 host nations and is celebrating its 80th year. “Our goal is to bring the various cultures of the world to San Diego,” Gronlund said.